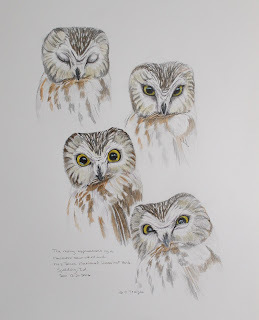 Saw-whet Expressions-pencil and watercolor-9" x 12"
Northern saw-whet owls are one of North Americas smallest owls. They are not much larger in size than a robin and have huge yellow eyes making them look cute. They are anything but that! 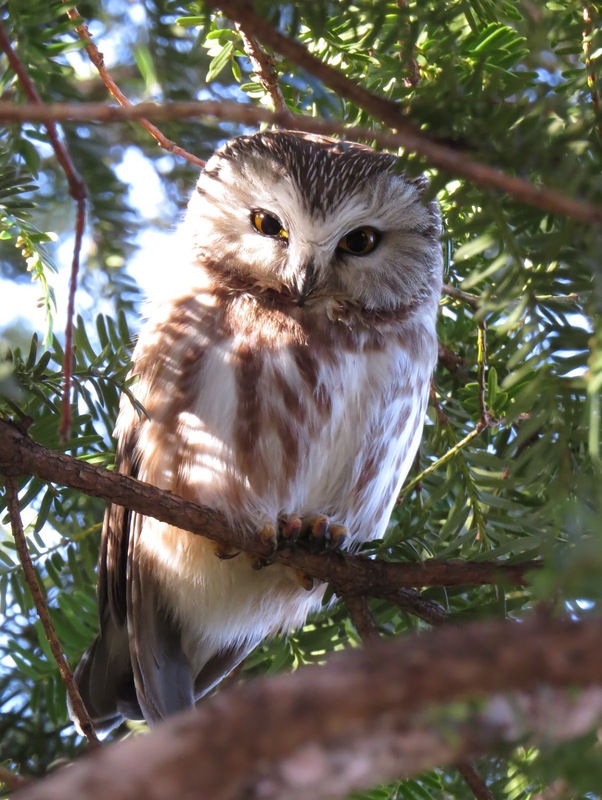 Though this tiny owl can go through a myriad of cute facial expressions they are fierce nocturnal hunters, preying primarily on mice and voles. 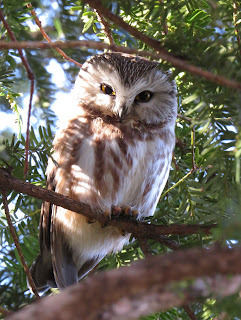 They are primarily forest dwellers, preferring conifers, but I have found many urban parks and cemeteries hosting these birds tucked in the branches of the conifers there. I decided to capture some of the many expressions these tiny owls can have in a simple pencil sketch. Just for fun I also included a little watercolor wash in places. I enjoy creating these types of pieces as they can generally be executed quickly, are relaxing to do and elegant in their simplicity. Once in a while it's just nice to take a break from the more complicated pieces and have a little fun!